We are a group of about 40 ladies, of all ages and backgrounds, who enjoy singing! Our repertoire is varied and includes many well known songs as well as some interesting new material. There's something for everybody! ​Although we are based in East Fife, we perform all over Fife and beyond. In May 2015 we were invited by Elgin Male Voice choir to join them in their annual concert. This proved to be a most enjoyable trip for the choir and made us keen to travel more! Tickets are now on sale and available from members of the choir or by contacting us directly. Then come along to a rehearsal and meet us to see if it suits you. We are now rehearsing in our new venue ​St Columba's Church, Rothes Road, Glenrothes KY6 1BN. If you are interested in finding out more about the choir, please come along. You do not need to read music as CDs of what we sing are provided. 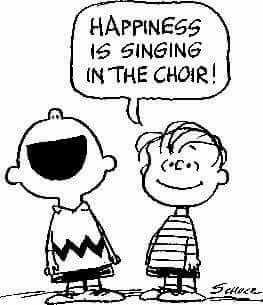 First rehearsal back after the Christmas break is Tuesday 8th January 2019. Come along and give us a try!